Motorola has really been pumping up the customization option for the newer model of the Moto X, and the exotic wood and leather backs are probably the most interesting part. Today the Moto Maker website in the US, UK, France, Germany, and Mexico has added an option for red Horween leather on the back panel, just in case you want to match up with the soles of your designer shoes. The upgrade is the same $25 charge (in the US) as the other leather and wood options, and engraving is still available. You can also add a 32GB or 64GB storage option for $50 or $100, respectively. Red leather is available on all unlocked models and carrier-discounted phones from AT&T and Verizon. 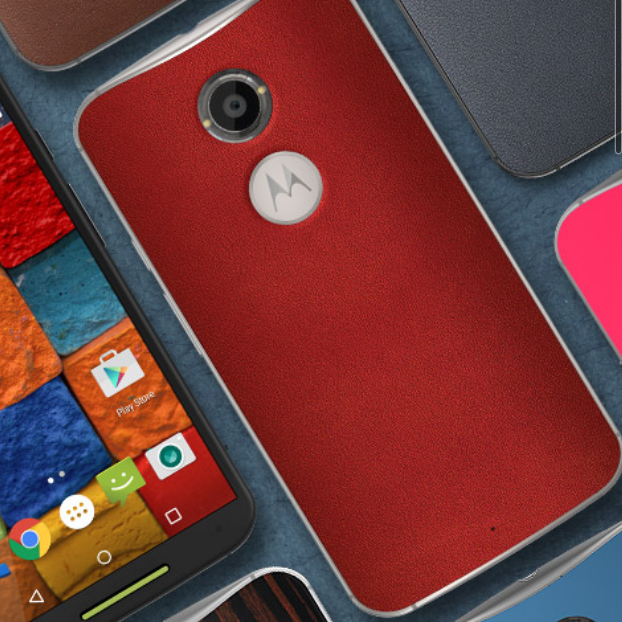 It's a little hard to tell exactly what the color is from the various photos on the website - the red on the promo page (see thumbnail) looks a few shades brighter than the red on Moto Maker. Keep in mind that this is real leather (from a real cow! ), so that oh-so-nice finish is less durable than plastic. It will also absorb oils from your skin over time, giving it a worn look... which might actually be appealing to some users. There doesn't seem to be a red option for the leather bands on the Moto 360, but I wouldn't be surprised to see it at some point.